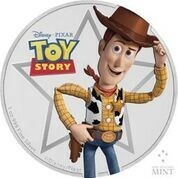 This Toy Story – Woody 1oz Silver Coin shows a full -colour image of Disney•Pixar’s loyal, cowboy Sheriff Woody against a polished background featuring an engraved outline of his sheriff’s star. 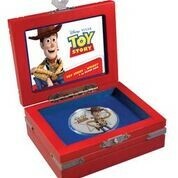 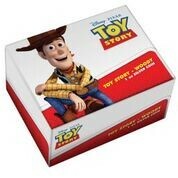 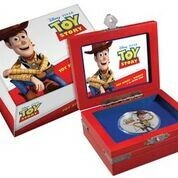  Ideal gift for any Disney•Pixar fan or coin collector. 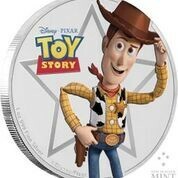  Limited worldwide mintage of 10,000 coins.